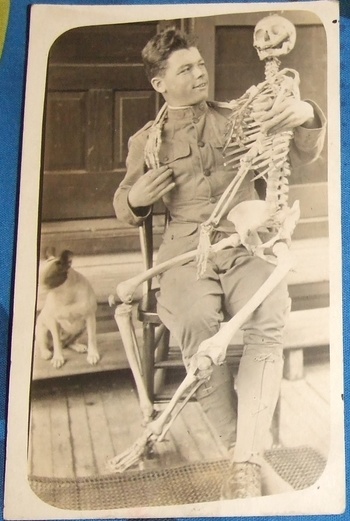 In Postcards > Real Photo Postcards > Show & Tell and Military and Wartime > World War One > Show & Tell. This is a WW1 era Real Photo PostCard (RPPC) that has a great subject matter. 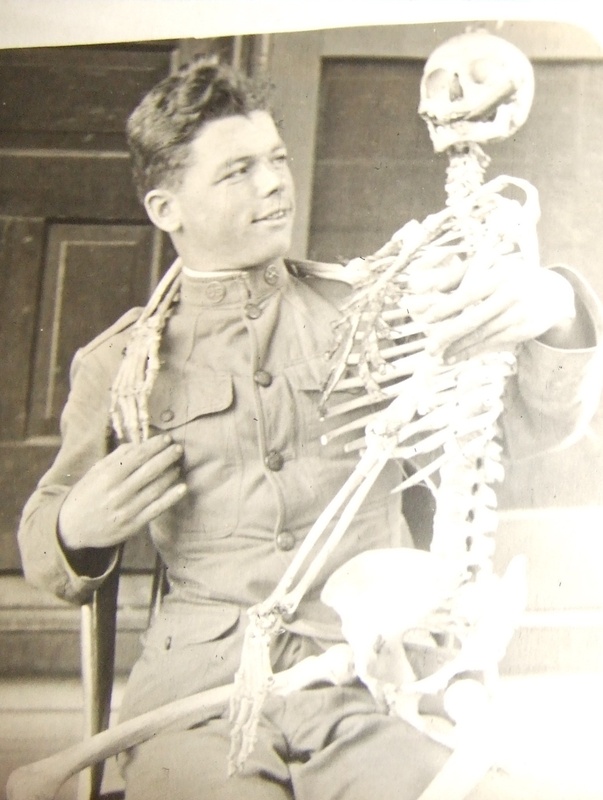 The soldier is shown with a full skeleton sitting on his lap. The skeleton is even smoking a cigar! A very unusual image of the era. Thanks clockerman, buss, fort and hunter. "Hey Mr. Skeleton, how you been?..... 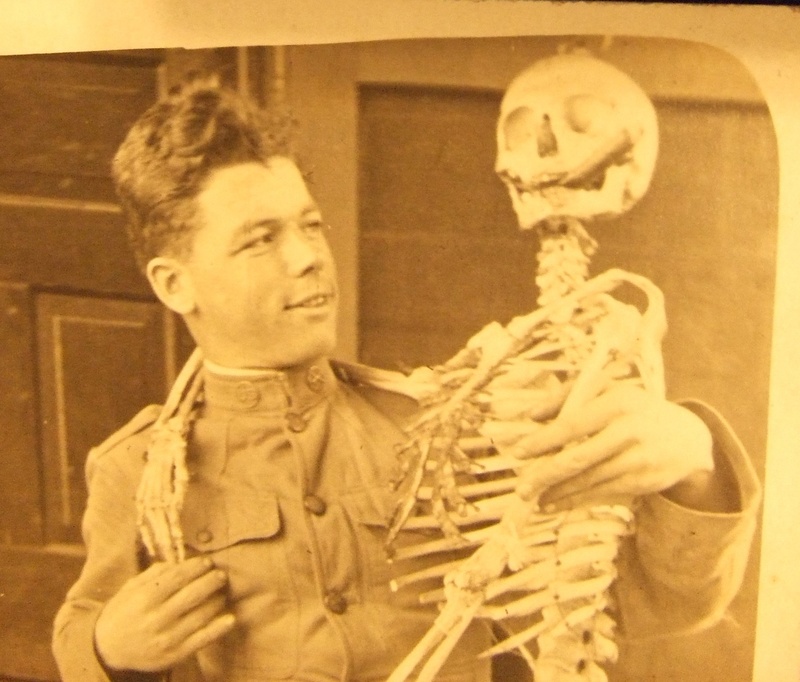 "Well Make No Bones About it...I've been better! Lol!! Thanks for looking and commenting brunswick. Thanks much film-- I agree, it is a crazy looking photograph! Now this is a cool card.